In order to guarantee a pleasant journey with Iran Air, you can find all answers to frequently asked questions here. 1. How can I ask for the ticket price? Prices can be asked by making a non-binding reservation request on www.iranair.at or via telephone by calling our sales office at +43 1 586 56 01. The advantage of making a non-binding flight reservation is the ticket price can be guaranteed up to 48 hours until you make a final binding decision. 2. Can I make a flight reservation via phone? Flight reservations can be made online on our website or personally in our sales office (Opernring 1, 1010 Vienna). 3. How long will my flight reservation be valid? Usually, non-binding reservations are valid for 48 hours. However, it may vary due to the time of reservation, type of ticket, seats available, etc. An exact validation will be stated in your reservation. 4. How can I make use of a special fare? Iran Air offers special fares for passengers under 26 and over 60 years. When stating the birth date during the flight reservation process, the youth/senior discount will automatically be included. Furthermore, groups of 3 or more passengers travelling together on Iran Air receive a family discount. For further information, read about our Special Offers. 5. Which ticket prices apply to infants (under 2 years)? The ticket price for Infants between 0 and 2 years is 10% of the applicable adult price. 6. Which prices apply to children between 2 and 12 years? The ticket price for children between 2 and 12 years is 75% of the respective adult fare. 7. What is required for a student ticket? The current student status must be verified through a valid student ID. For further information, please read about our ‘’Special Offers’’. 8. What are the reasons for price differences? Ticket prices can change hourly, because tickets are issued simultaneously. The availability of certain booking classes per flight date are variable and can not be predicted. Lower booking classes (i.e Saver) are limited and accordingly immediately fully booked (especially with bookings which are requested shortly before the flight). 9. Are there any differences in buying tickets online or in the sales office? Prices of tickets which are bought online or in the sales office do not differ. 10. Why do I need to state a phone number when booking a ticket? We recommend providing a phone number so that we can inform you in case there are changes to your flights. 11. My name in my Austrian passport is different than in my Iranian passport. What can I do? Please inform us about your second name when making the flight booking. Therefore your second name will be remarked on the issued ticket. 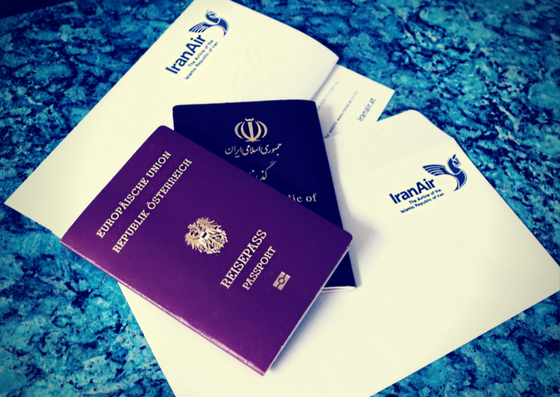 In general our flight tickets are booked according to the name in your Iranian passport. Your "Second Name" will be remarked on the issued ticket. Please state your second name, according to your Austrian passport, under "Remark" while booking via our website. 12. Is it possible to combine Iran Air with Austrian Airlines flights? Yes, you can decide which route you want to fly with one of the airlines. 13. What is a Code-Share flight? Codeshare flights allow us to sell seats on flights operated by other airlines. We currently work in cooperation with Austrian Airlines and Turkish Airlines. 14. Do you offer domestic flights? In combination with an international flight you can book a domestic round trip for a special price of EUR 30.00 (+ airport taxes) per route. Please note, that this price is only available in combination with an international flight. 15. Which forms of payment can I use? 16. How does the ‘’bank transfer’’ payment method work? Details about the payment methods can be found in your reservation confirmation. When paying via bank transfer, please state your five-digit booking code as reference. You will find our bank account information on the website, under the rubric ‘’company details‘’. Please upload your receipt at ‘’Payment’’ or send us a copy of your confirmed payment via e-mail to ticket@iranair.at. 17. Can my child travel alone? Yes, we provide a service to assist children from their point of departure to their final destination and additionally a supervision from our team during the flight. Please note, that the price for an unaccompanied child will be calculated as an adult. 18. How can I make a group booking? On Iran Air flights, we offer special group fares for 10 or more people traveling together to a common destination. In order to make a group reservation, please send an e-mail including the route, flight dates and group size to gruppen@iranair.at. 19. Do I receive a ticket confirmation after payment? Yes, the electronic ticket (“itinerary receipt”) will be sent to you via email. 1. Do I need to reconfirm my ticket before departure? A reconfirmation of your flights is not required. 2. Can I make a seat reservation in advance? On Iran Air flights, it is not possible to make seat reservations in advance. You may choose your seat at check-in. On flights with our code-share partner Austrian Airlines the web check-in including the seat reservation can be made from 47 hours prior to departure on www.austrianairlines.com with your ticket number (starting with 096..). 3. How much hand luggage can I take with me? Please note, that your hand luggage may not exceed following dimensions: 55 x 40 x 23 cm. 4. Can I carry liquids in my hand baggage? Liquids, gels and lotions must be in a container with a maximum capacity of 100ml or 100g, which must be carried in a reclosable clear plastic bag with a maximum capacity of 1 litre. 5. Which weight or piece maximums do I have to consider for my luggage? Please note that the maximum weight per checked bag is 23kg. This regulation applies to both Iran Air and Austrian Airlines flights. Furthermore, Austrian Airlines has a piece-concept, therefore the baggage allowance will be stated in ‘’pieces’’. i.e. 2PC stands for 2 x 23kg. 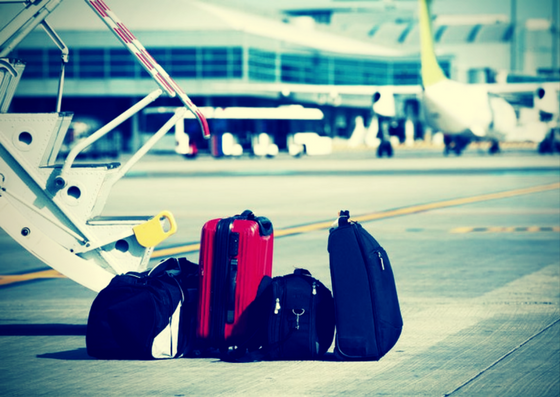 The baggage allowance will be stated on the right side of your electronic ticket. 6. I have too much luggage, what can I do? At the Vienna International Airport excess baggage costs EUR 10.00 per additional kg. In order to avoid high costs at the airport, a luggage package can be bought up to 24 hours before departure for flights with Iran Air. Please note, that this special package applies only on flights from Vienna to Tehran. For further information, please visit ‘’Additional Luggage’’. 7. I forgot my hand luggage on the aircraft. What can I do? Forgotten or lost baggage can be found in the “Fundbüro” at the Vienna airport. For further information, please contact the airport at (+43)-1-7007. 8. What can I do if my luggage was damaged? If your luggage was damaged during an Iran Air flight (route Tehran-Vienna), please contact the sales office in Vienna. The contact information can be found here. After submitting the required documents, the average processing time is 4-5 weeks. 1. How can I rebook my ticket? Ticket changes can be made online or in our sales office. If you wish to rebook your ticket online, please fill out the rebooking form and our sales staff will get back to you. Possible rebooking fees, which are based on the conditions of your ticket, will be sent to you in a separate email. You can contact our sales office in this regard, prior to sending the rebooking request. Please note that the rebooking request is binding. 2. How can I cancel my ticket? The cancellation of your ticket can be made online or in our sales office. If you wish to cancel your ticket online, please fill out the cancellation form and our sales staff will get back to you. You can choose between cancelling your booking and refunding a purchased ticket. If you want to cancel your booking and state a new flight date later, please choose “cancel your booking”. If you want to cancel your ticket entirely and get a refund of the remaining amount, please choose “refund a purchased ticket”. After deduction of possible cancellation fees, the remaining amount will be refunded within 14 working days. 3. What costs do apply when changing/cancelling a booking? Our fares are subdivided into various booking classes, each with differing conditions. These booking classes are indicated by alphabetical characters, such as ‘L’ or ‘Y’, which are stated on your ticket. Since the fees must be calculated individually, no exact price information can be given in advance. The above stated rebooking fees represent minimum fees and have to be paid for each rebooking. 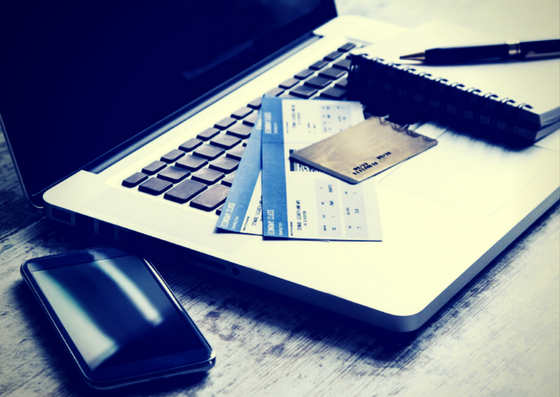 If your booking class is not available on your requested flight, additional fees may apply. Tickets must be rebooked/cancelled up to 24 hours prior to departure. If the deadline has passed, a no-show fee will apply in addition to the rebooking/cancellation fee of the respective ticket. Please note, that on the booking class Saver and Basic a minimum stay of 3 days is required. 4. Can I rebook/cancel my ticket on the phone? No, rebookings and cancellations can only be made online or in our sales office. 5. Until what time before departure can a flight be rebooked/cancelled? Tickets have to be rebooked/cancelled up to 24 hours prior to departure, for Code-Share flights with Austrian Airlines up to 48 hours prior to departure. If the deadline has passed, a no-show fee (between EUR 60,00 and EUR 80,00) will apply in addition to the rebooking/cancellation fee of the respective ticket. 6. Can a ticket be transferred to another person? Tickets cannot be transferred to another person.